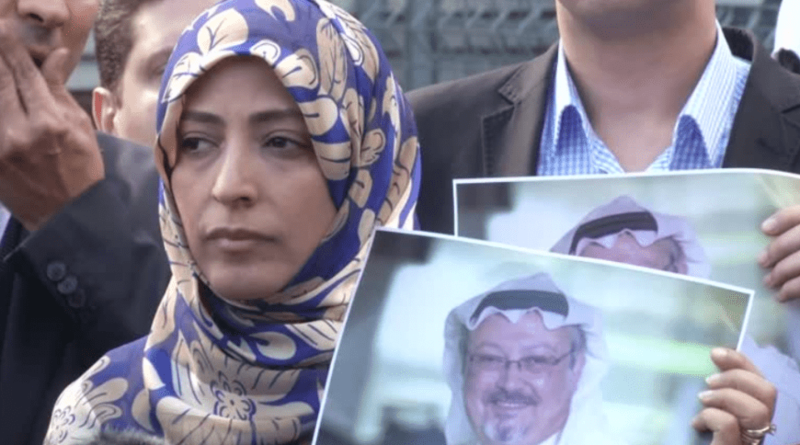 Jamal Khashoggi has now been missing for six days since WTX News revealed the Saudi-born journalist disappeared during a visit to the Saudi consulate in the Turkish capital. While President Recep Tayyip Erdogan said he was “hopeful” Khashoggi is still alive, Turkish police were briefing journalists that they believed the outspoken Saudi was dead after being killed at the consulate of Saudi Arabia in Istanbul. Predictably the Saudi regime has dismissed this claiming Khashoggi left the consulate in Istanbul on Tuesday. The Turkish President told reporters on Sunday that his authorities were scrutinising video surveillance footage of the consulate’s entrances and exits and monitoring all inbound and outbound flights since he disappeared on Tuesday in an effort to solve the mystery. Erdogan added: “God willing, we will not be faced with a situation we do not want. I still am hopeful. It is very, very upsetting for us that it happened in our country”. Khashoggi, 59, has made himself unpopular in parts of the Arab world because of his stinging criticism of the Saudi kingdom’s reform programme under the guidance of Crown Prince Mohammed bin Salman. Global diplomatic attention is now focussed on the Turkish capital. It would be disastrous for the already fragile Turkish-Saudi relations if police discover Khashoggi was kidnapped or worse within the consulate. They have already discovered from surveillance cameras footage of the arrival of a delegation of 15 Saudi officials to Istanbul on the same day the dissident journalist disappeared. In the meantime, Saudi Arabia invited journalists into the consulate over the weekend in a bizarre attempt to show that the journalist and Washington Post columnist was not on the premises. He visited the offices on Tuesday afternoon to collect paperwork enabling him to marry his Turkish fiancee Hatice Cengiz. It was she who raised the alarm and alerted the media to his disappearance after waiting in vain for him to re-emerge from the building. Saudi has come under growing criticism over human rights issues which have led to several major diplomatic spats in recent months, especially with Canada. However, if it is involved in foul play over the disappearance of Khashoggi this would take Saudi intransigence and misrule on the international stage to a shocking new level.